The short-cut message templates saved a tremendous amount of time. RxWorks reduced the work I'd have to normally do on another platform. Telephone Support! Patient records would also transfer automatically across devices. 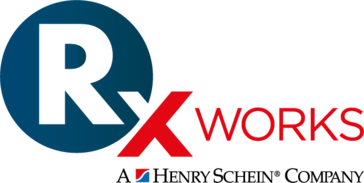 RxWorks didn't have a great design. It could have a better flow so the user can read through patient notes with ease. Great Product! I would recommend RxWorks to other seeking out functionality and a wonderful tech support. Saved time and money with this product. This product benefited the company with so many useful tech solutions for communicating to clients (reminders, within-consult topics and links), patient data (lab results, imaging), analysis of business performance, and much more. Every time that I have telephoned the support staff, my enquiry has always been dealt with very well. setting up appointment screen very flexible, easy to learn how to use the system, good internal messaging system - saves a lot of time on trying to find everyone around the building to pass on messages in person, clipboards can be configured easily to suit the Practices requirements, can choose to view patient histories either as a "rolling list" or clicking through visits, vast amount of information visible at a glance on the patient window. Can do quite a bit of setting up procedures, in house problem solving and checking management reports. There is always a helpful staff member at the end of the telephone, when we can't work a problem out our self, and most things are rectified very quickly. "rx works here , oz and uk"
Easy to use. Easily access to everything I need. Can easily see history, simple, straightforward. Can easily go back, see doses, medication and treatments. Customer service when there is a problem, can take time for problems to be fixed and solved. Links up your care plans easily and discounts. Stock take most of the time is accurate. * We monitor all RxWorks reviews to prevent fraudulent reviews and keep review quality high. We do not post reviews by company employees or direct competitors. Validated reviews require the user to submit a screenshot of the product containing their user ID, in order to verify a user is an actual user of the product. Hi there! Are you looking to implement a solution like RxWorks?